TIRED OF PAYING FOR ADD MOVES & CHANGES? TIRED OF PAYING TRIP CHARGES EVERYTIME YOU HAVE A PROBLEM WITH YOUR TELEPHONE SYSTEM? WELCOME TO THE 21st CENTURY! Say goodbye to the traditional Telephone Key Service Unit as we know it and welcome a sophisticated and user friendly Cloud Based Phone System also know as a Hosted Phone System These systems were developed with the End User in mind. The Cloud Based Phone System is available for small business applications as well as large corporations. All the features of a Large expensive PBX can be utilized by both large and small businesses by way of this new Cloud technology. A Hosted phone system allow small businesses to communicate with the same features that large companies have had available to them for decades. These Virtual PBX Service solutions are also offered at bigger savings when compared to traditional telephone set up. 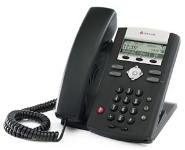 2) Find a telephone system that is reliable and will last you many year without any problems. 3) Find a telephone technician/installer that is reliable, dependable and wont gouge you. When deciding to have a Cloud Based phone system, all these steps are stripped away. If you have a high speed internet connection, you have everything you need for a Virtual PBX Service solution!!!!!!!! Call us Today 800-306-3377 to get more info. 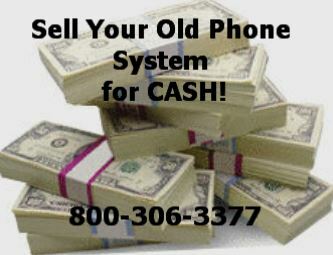 Craig Communications has been selling telephones and systems for 20 years and can sell most major brands. However technology has advanced so much that we finally found three Cloud Based Phone System solutions that are user friendly, very reliable and potentially could save you $100's to $1000's a month. That got our staff here excited. The companies we use for Hosted Phone system applications has some of the best customer support in the industry. When you call us at 800-306-3377, we will walk you through the process and not let you be intimidated by all the new technology and its tech lingo. We are Vender Neutral. We dont believe one size fits all. We offer several Hosted Virtual PBX Service solutions and we only want what is best for YOUR business. Once you get set up, you will be amazed how easy it is to change your voice mail, make voice mail messages, upload on hold messages, voice-mail to email, forward calls to any telephone, have your calls follow you anywhere.....even to your cell and set up remote extension outside your office!! These are just a fraction of features that are available through a Hosted Phone System Solution. When you add a new employee to the system or you want to make any changes to the system, you dont have to call a technician anymore and have them charge you hundreds of dollars to come out for a service call THOSE DAYS ARE GONE!!. No more walking into the office to find your Power Supply for your 20 yr old Telephone Key Service Unit just died and you are left with no service. When you decide to move your company to another location, you dont have to Pay an installer to come out and de install your system and re install it at the new location. You also dont have to pay for traditional telephone lines and be gouged by providers month after month. Your lines are through the internet and the telephone system is on a cloud in another location. If you ever have any questions regarding your system, you get 24/7 Concierge-level customer service!!! These are just some of the big advantages of being on a Virtual PBX Service solution. You are not liable for the maintenance of the system but get all the features of a PBX system for a fraction of the cost! Three coaching and monitoring modes so that you can monitor what employees are saying to customers and coach them without the customer even knowing you are on the line. At any time you can use the barge feature to force a three way call between you ,the customer and employee all with a touch of a button. Calling contacts from within Microsoft Outlook is simple using the Desktop application which is one of the featurs with the Jive Cloud system. It integrates with Outlook's TAPI interface to provide a seamless experience. The big advantage most companies like is that you will never loose a call again. Every call goes to your cloud system and if your internet connection goes out, you still get the call to your voice mail which can go into your email box. Just retrieve them later! And if you set your calls up to ring your cell simultaneously, You are backed up! NEVER LOOSE A CALL AGAIN!! Again, we know how intimidating it can be when you start to realize what Voip telephone system technology is available to you out there. We are Vender Neutral. We dont believe one size fits all. We want to hold your hand while you decide what is right for your business when it comes to choosing a Virtual PBX Service solution. Craig Communications has been doing it for 20 years!! Call Us! 800-306-3377. Here at Craig Communications we understand that the Hosted Phone system and VoIP telephone systems are new to you and plays an important and integral part in the success of your business. That's why we feel very strongly about the Virtual PBX Service telephone system or Hosted Voip telephone systems solutions and their commitment to Customer Service. When you decide to go with a Cloud-based Business telephone system or a VoIP hosted telephone system, you are building a relationship with a company committed to quality Virtual PBX Service solutions at a great price with first class service. We want to earn your satisfaction and referral business by helping you every step of the way.